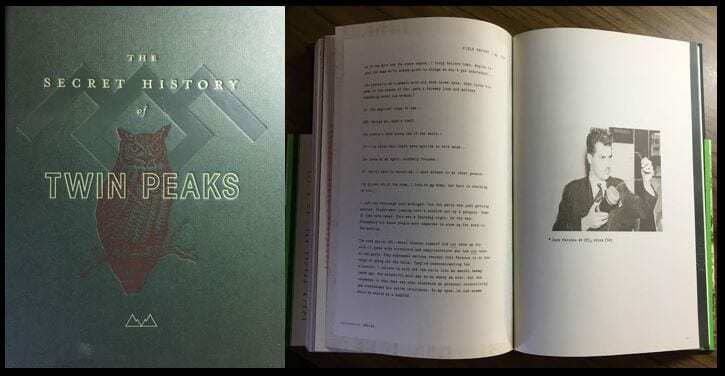 Welcome back to our Secrets and Mysteries series, where it is our goal to offer in-depth looks into Mark Frost’s The Secret History of Twin Peaks: A Novel section by section. 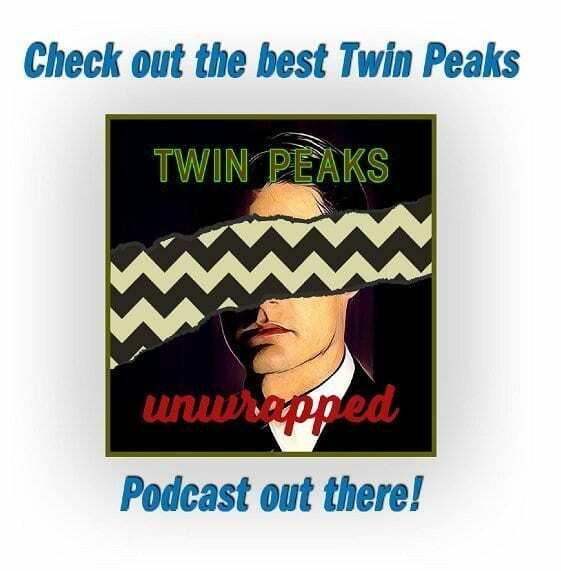 As these each engage with the novel’s plot, giving close examination of its connections to the overall narrative of Twin Peaks, new readers should be aware that there will be MAJOR SPOILERS. Peek beyond the red curtain at your own discretion. On September 6, 2018, at the National Solar Observatory, which sits on Sacramento Peak in Sunspot, New Mexico, agents of The Federal Bureau for Investigation (F.B.I.) evacuated the premise with little to no explanation. The reason given was formed of calculated language, calling it a “security issue” not a “threat.” Furthermore, the close-by Sunspot Post Office was also evacuated and closed. It is being called a “temporary evacuation.” According to the Alamogordo Daily News, Otero County Sheriff Benny House said there was a Black Hawk helicopter there with people working around antennas and with work crews on towers. 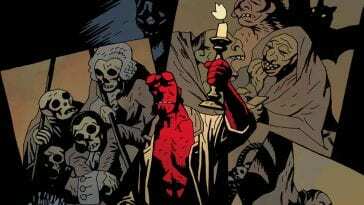 Ten days later, it remains closed with few answers given, which has led to much speculation. UFO reports/activity? Perhaps. Espionage? Likely. 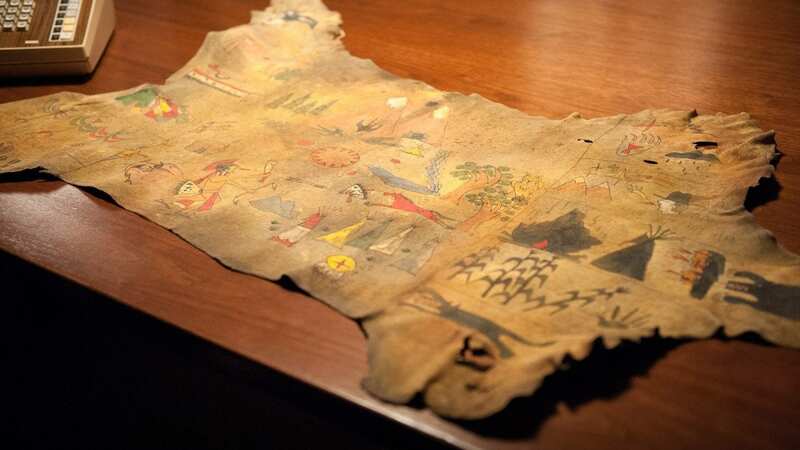 Adding to this speculation is New Mexico’s deep history with reports of UFO activity specific to this region. 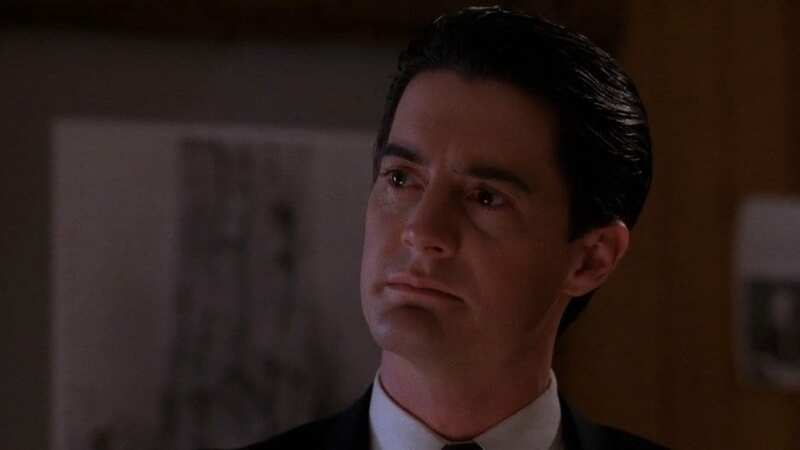 Mark Frost’s The Secret History of Twin Peaks, with its fictionalized through-line of Douglas Milford and the Owl Cave ring, is a good primer for these suspicions. Indeed, this incident provides a timely illustration of the similar events that occurred leading to the formation of Project Sign. Project Sign finds its first mention in the dossier on page 85. 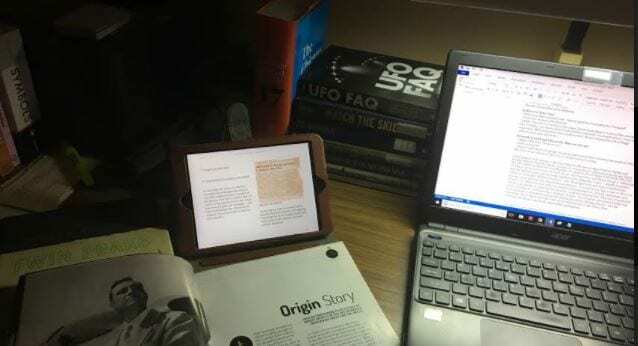 What it asks audiences to note following Douglas Milford’s interview on pages 81-84 and numbered 000-73, 221-912 is General Nathan Twining’s presence at the 1947 investigation of the Roswell crash investigation. Twining would be closely involved with the formation of Project Sign on January 22, 1948. According to Dr. Allen J. Hynek (more on him below): “Originally termed ‘Project Sign’ and initiated in September, 1947, on February 11, 1949, it became ‘Project Grudge’; then from summer of 1951 to late 1960 it was called, ‘Project Blue Book’. Code names are not supposed to have any special significance, but the reader may read into them whatever he wishes.” The concentration of The Archivist’s coverage of Project Sign in particular is collected on pages 125-153. That portion of the novel follows information conveying Douglas Milford’s involvement with UFO sightings and conspiratorial interference. As a coincidence, I covered those pages for 25 Years Later on January 22, 2018, 71 years to the date from Project Sign’s formation. Both that article and portion of the novel begin with a UFO sighting by Kenneth Arnold. Mark O’Connell speaks to a further connection we need here in his The Close Encounters Man: How One Man Made the World Believe in UFOs. Since Kenneth Arnold’s sighting had caught the nation’s attention the previous June, all flying saucer reports were submitted to the bewildered and unprepared staff at the Army Air Force Air Technical Intelligence Center (ATIC), under the Air Materiel Command (AMC) at Army Air Force Technical Base in Dayton, Ohio. But ATIC had never developed any clear guidelines for assessing or responding to the reports, despite the fact that the calls kept coming in. By September 1947, the head of AMC, Lieutenant General Nathan F. Twining, was concerned enough about the massive influx of reports that he sent an unprecedented recommendation to his superiors that flying saucers were “something real and not visionary” and that a detailed, classified study of the phenomenon be authorized. Twining’s recommendation was approved on December 30, and a flying saucer investigation unit dubbed Project Sign was authorized to be set up under AMC. The new project was opened on January 23, 1948, at the newly named Wright-Patterson Air Force Base. Previous to Milford’s association to the Roswell crash investigation in the novel is the fact he turns up as a “buck private” in Alamogordo, New Mexico, at the White Sands Missile Range in 1945. The insinuation is that he might have been involved with the Manhattan Project. This is only the briefest of mentions related to the subject in so far as Douglas Milford is concerned, but fans of Twin Peaks will immediately recognize the significance of this as relating to the Trinity Test occurrence in Twin Peaks: The Return in Part 8. I am surprised that Frost did not place him in Los Alamos, the location more closely associated with Sarah Palmer’s father and his work on the Manhattan Project. You can also find more on that in Frost’s Twin Peaks: The Final Dossier. 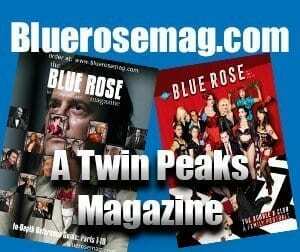 My discussion on that subject can be found midway into my article Touring the Southwest Terrain of Twin Peaks: The Return. To the point of dates, we note Milford’s journey from 1945 with the White Sands Missile Range, which seems to have had bearing on occurrences first noticed in 1947 with Kenneth Arnold’s sighting and the infamous Roswell crash.  All of these instances lead to the formation of Project Sign. The Archivist (I personally prescribe to reading it in Major Briggs’s voice now) provides us with a document from then titled Operation Sign’s first meeting, #413-File Number. The minutes include members in attendance. Of note are Chief of Air Base Material Command Gen. Nathan Twinning and Maj. Douglas Milford. File number 413 examines what were considered the 18 most reliable UFO reported sightings at hand for this meeting. The document begins with the locations and dates of the reports up top. The following portion outlines the observer’s name, occupations at the time of the reports, and position observed (i.e. ground or air). Following those portions are details on the object’s deviation from straight flight, color and size, then shape, sound, trail, and weather upon sighting. 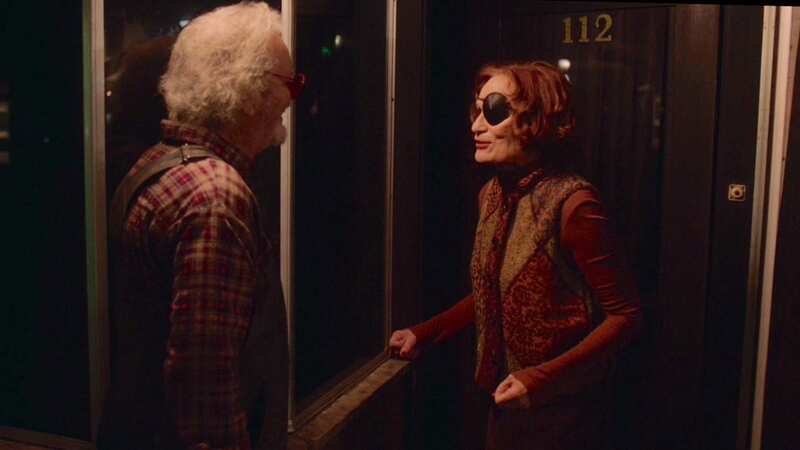 The Archivist asks us to pay particular attention to two incidents, 17 and 18, both of which occurred in Twin Peaks. 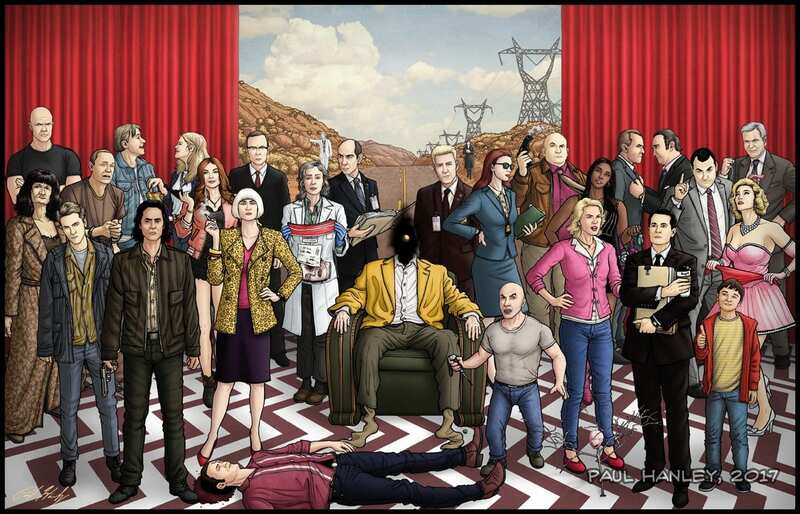 I admit up front that I do not think Frost was cluing us into 18 parts for the up-coming Twin Peaks: The Return. I also do not believe there is a correlation to the seminal Parts of 17 and 18 of The Returm and The Archivist’s focus on Reports 17 and 18, though I leave you to correct me on that or ponder on the coincidence. Incident 17, we are told, became known as the UFO dogfight. Let’s outline the details. Incident 17: date of September 4, 1947 at 1930 (7:30 p.m.), observer’s name redacted, occupation is Captain, AAF (Army Air Forces), object observed from ground, silver in color, 60 to 100 feet in diameter, disc-shaped, no sound, no trail, weather clear and unobstructed, object pursued by the fighter pilot for 20 minutes before evacuative action was taken. The object disappeared from view as the pilot could not keep up, but the object was noted to have stopped and started. It is clear from the report that this sighting was reported by the pilot, a Captain in the Air Force, but The Archivist also collects a report from an eye-witness as conveyed in Twin Peaks’ biweekly newspaper, Twin Peaks Gazette by none other than staff writer Robert Jacoby, Dr. Lawrence Jacoby’s brother. The fictional newspaper article was released Saturday, September 6, 1947, which we can now relate upon cuing up our Twilight Zone theme music to the true September 6, 2018 New Mexico incident, again 71 years before the Sunspot Observatory evacuation. See, I’m starting to tread lightly with this 71 business. The eyewitness was one Einer Jennings, Hank Jennings’s father. 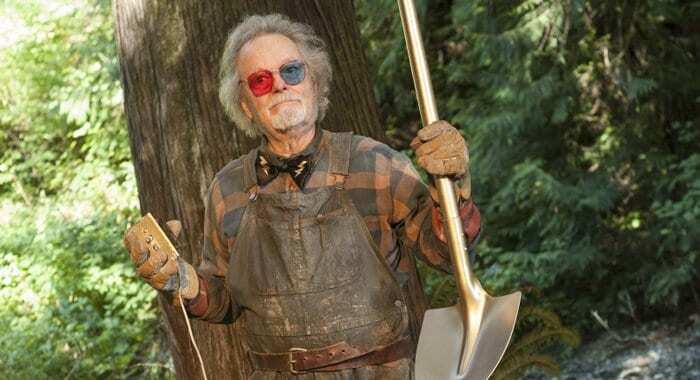 Those of you new to Twin Peaks, this is the father of Norma Jennings’s nefarious husband, Hank Jennings. The Secret History later informs us that his marred reputation began early with many members of The Bookhouse Boys, of which he was temporarily one, going back to an early sabotaged football game. Einer Jennings observed the dogfight with the unidentified object from his walk at Sparkwood and Highway 21. Jennings reputation among residents of Twin Peaks for being well-known at local watering holes was palpable. Incident 17 leads The Archivist to examine Twin Peaks’ next incident 18, which was Milford’s very own experience. The following report by the Department of the Air Force, Task Force MJ-12, Project Sign, prepared by Lt. Col. Milford tells us that Milford went to his hometown of Twin Peaks to confirm the story in person with Einer Jennings. Milford made it his duty to report shadowing by “mysterious visitors” by those who have reported sightings. In other words, Milford put the fear of the “men in black” in him, threatening him into silence. Milford traces Jennings’s steps. This takes him to Pearl Lakes in Ghostwood National Forest. It is there that he reports observing “a strange, pulsating electric hum fill the air…followed by a bright—almost blinding—cluster of lights that burst into view overhead, different colors, red, white, green, swaying and rotating in what seemed to be swift and regular patters.” Still, this is not all he witnessed. He witnessed “Children. Two boys and a girl…appeared to be looking up at the dark shape above them” disappear with the lights. 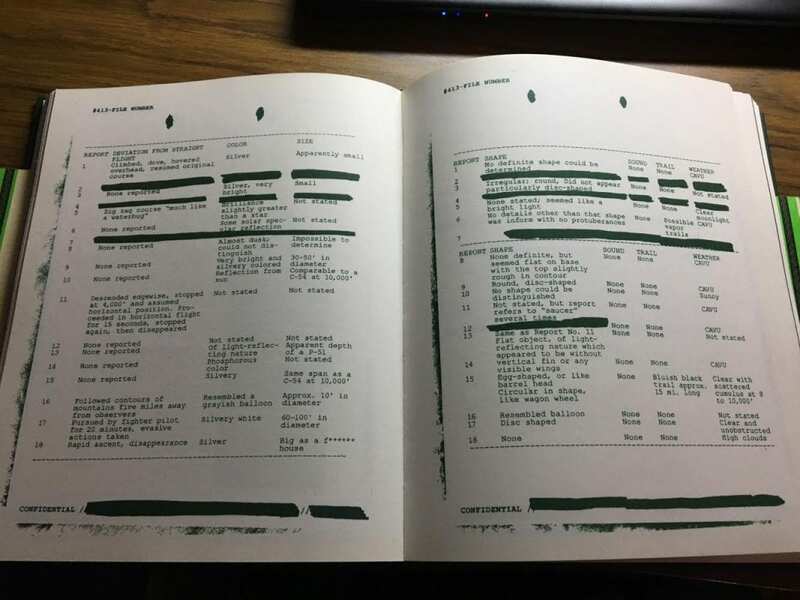 The Archivist notes that this instance went considerably beyond the other reports, appearing to be the “first officially recorded instance of a UFO ‘abduction’.” This is also noted as Blue Book parlance “close encounter of a third kind.” To quickly define the terminology, a Close Encounter of a First Kind is a sighting of “objects or very brilliant lights close to the observers—in general less than 500 feet away.” It is simply called a close encounter. A Close Encounter of a Second Kind is where an encounter leaves evidence whether at the sighting or in an effect on the observer. 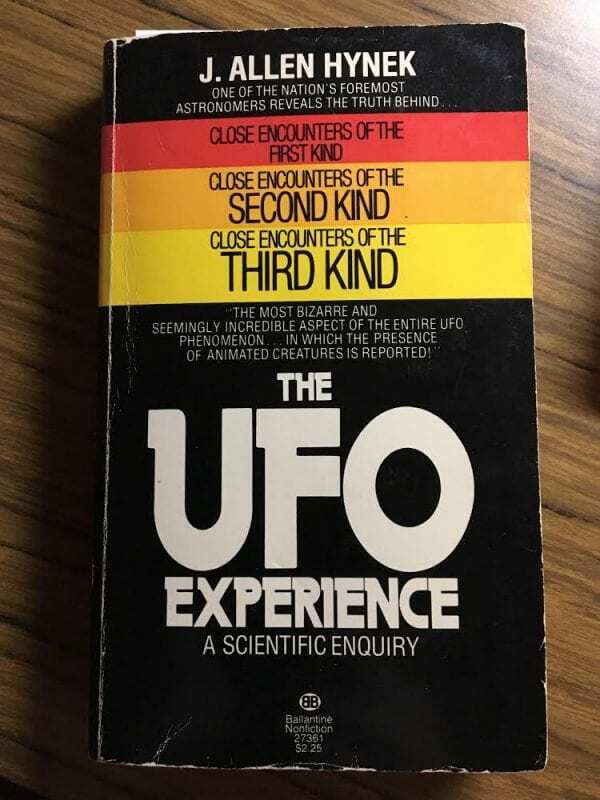 Hynek admits to wishing he could have ignored the third kind, but classifies it as “Close Encounters of the Third Kind, those in which the presence of animated creatures is reported.” Experiences or memories of being taken upon a ship also classify as a third kind. The phrase “close encounters of a third kind” offers an excellent segue to introducing Astronomer J. Allen Hynek better. He appears twice in the Archivist’s dossier, once accompanying Milford to a closed oval office meeting following Richard Nixon’s inauguration in 1969 as documented on pages 278-285, Project Blue Book document 69-02-0024. The second is a footnote by F.B.I. Special Agent Tamara Preston. She gives us a lot of information. I have two reasons for insinuating him into this write-up, one for pertinence to our topic, the other as injected promotion for up-coming writing on this site. 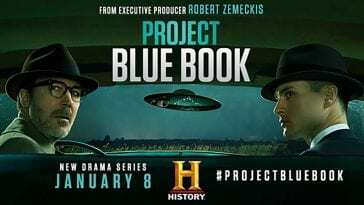 J. Allen Hynek will be portrayed on the History Channels’ up-coming drama series Project Blue Book as portrayed by actor Aidan Gillen, better known for his role and Littlefinger on Game of Thrones as well as from his time on HBO’s The Wire. 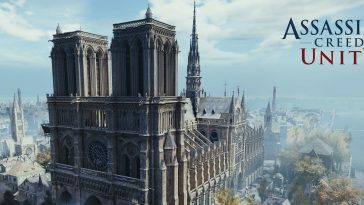 This website will cover the History Channel series upon its release, which is expected to be released in winter 2018. As Dr. Hynek explains of his role on Project Sign, “Project Sign needed an astronomer to weed out obvious cases of astronomical phenomena—meteors, planets, twinkling stars, and other natural occurrences that could give rise to the flying saucer reports then being received, and I was a natural choice. I was then director of Ohio State University’s McMillin Observatory and, as such, the closest professional astronomer at hand.” Some of the cases he investigated included those of abduction. This section perks the attention of any Twin Peaks fan. In this section, we learn the details compiled by The Archivist, which look at the three children that Milford observed disappear in his own UFO experience. The two male children were Carl Rodd and Alan Traherne. 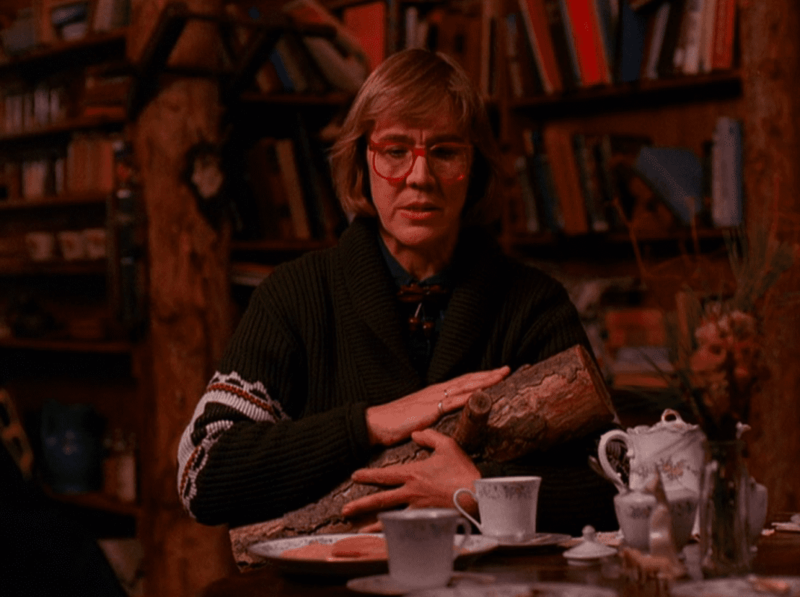 The girl was none other than Margaret Lanterman, later known as The Log Lady. We will examine their identities shortly. All three were out on a third grade nature walk, when, straying from the group, they came upon the strange phenomenon at Pearl Lakes, the very spot where they would be returned as reported again by Robert Jacoby. They were found by Eagle Scout local troop 541, who were led by Scoutmaster Andrew Packard. Outside of hunger and thirst, the three believed they had only been gone an hour and reported no other injuries. 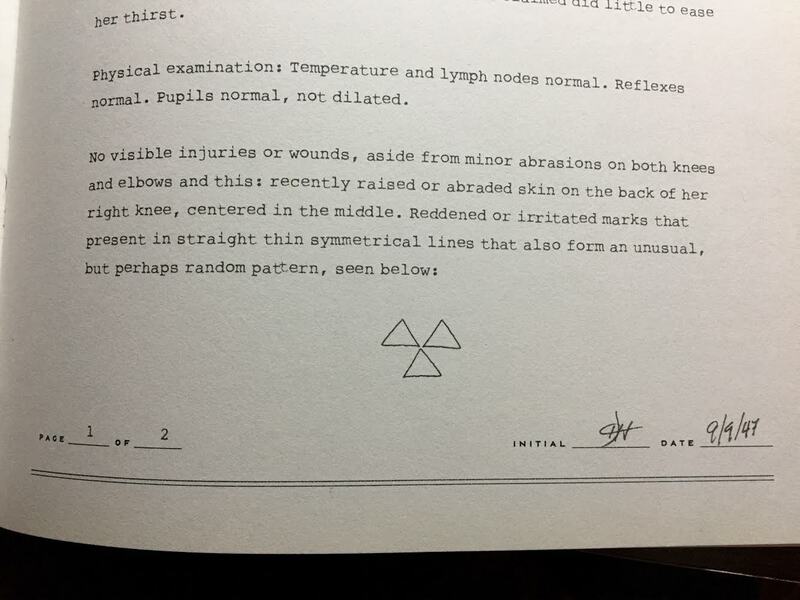 A Calhoun Memorial Hospital exam report for Margaret taken by Dan Hayward, MD shows the same results with the one difference of three triangles, their points meeting at a center, appearing as reddened or irritated marks on the back of her right knee. The Diane Podcast lends a great deal of attention to this symbol as it appears in Season 2 on their “Episode 20: Checkmate.” Insinuated are Nordic knots, the international symbol for radiation, a bird in flight, specifically an owl. Margaret did ask Doctor Hayward, the father of Will Hayward, whether or not the “owl was coming back.” This will come back to us. The dossier next looks to Alan Traherne, who is said to have moved to Hollywood to become a sound technician in the motion picture and television industry. Traherne is said to have passed away in 1988 from cancer. His character has always held a fascination for me. Here is a Twin Peaks character intentionally added with no more history than two short paragraphs and an abduction. It has always felt like an homage. 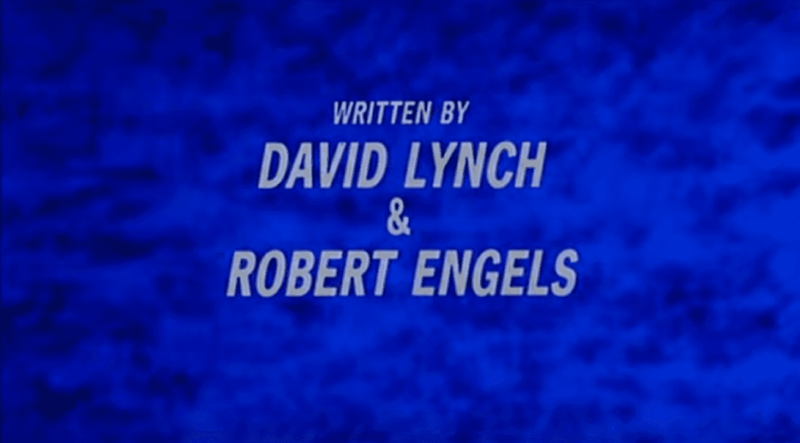 The closest I have come is perhaps a nod to David Lynch’s friend and sound designer, Alan Splet. The only Traherne reference I ever get to is metaphysical poet, Thomas Traherne. Splet died of cancer in 1995, so there is no direct correlation, but allowing his character to pass in 1988 removes him from appearance in the Twin Peaks series before this historical novel and, perhaps, homage. 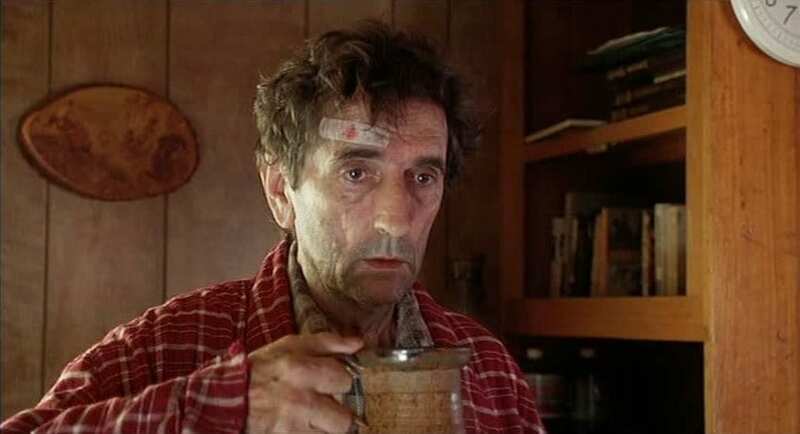 Carl Rodd is a grand character in the world of Twin Peaks with his first appearance occurring in the motion picture Twin Peaks: Fire Walk With Me as portrayed by Harry Dean Stanton, who passed away one year ago this week. One certainly has to note his statement in that film. “See, I’ve already gone places. I just want to stay right where I am.” This portion covers his time in the early years of the Vietnam War. 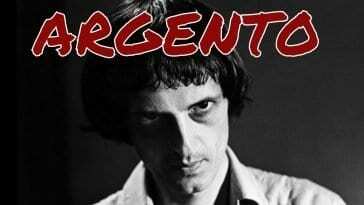 He is said to have also carried a tattoo similar to Margaret’s behind his right knee. Of course, we see Major Briggs (likely this Archivist) receive the same markings in Season 2. Rodd is given a history in this section that fans can enjoy straight from the book, little of its contents have any bearing on Project Sign. We do learn the history of his management of the Fat Trout Trailer Park, which was brand new in the early 80’s. For this portion, I want to examine a statement made by The Archivist, which brings us back to Lanterman’s owl comment to Dan Hayward. “The reference made to an owl by the girl, which unfortunately the doctor did not more aggressively pursue at the time, may indicate the presence of what are now commonly referred to as “masking memories,” that is, a memory constructed by the mind–or, according to some, implanted by an external source–to supplant a real and much more disturbing encounter with something that also possesses oversized eyes.” There are two points to note here: masking memories and the owl. 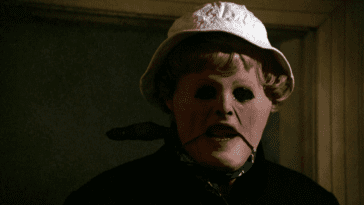 There is a notion, when thinking to Fire Walk With Me, that perhaps Bob appeared to Laura as a mask, a coping mechanism for the atrocities performed on her by her father. That would follow with experiences she made in The Secret Diary of Laura Palmer. In his medical report on Lanterman, the elder Hayward noted that “Children sometimes have a tendency to block out traumatic experiences…” I mention that in passing, but there may be work to be done on those points. Per the owl, I want to also briefly mention Mike Clelland’s The Messengers: Owls, Synchronicity and the UFO Abductee. In this book, they take a unique position to owls and UFO experiences. But this is more than a UFO book. In these accounts, the presence of owls signify important personal and transformative events in a person’s life. Certainly, this can include a UFO encounter, but these owls are also serving as harbingers of other forms of spiritual awakening. And they are connected to death—the ultimate transformation. What’s interesting is that this is precisely how ancient people understood owls. 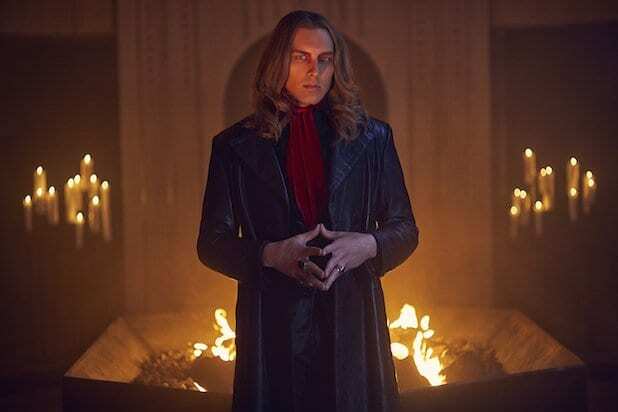 It is in fact a restatement of their ancient archetype: the ability to peer into the darkness representing an ability to penetrate the dark mysteries of existence. The language alone in that statement closely aligns with dialogue we have heard in Twin Peaks, especially in Season 1 and 2. The connection made by The Archivist references Owl Cave and hieroglyphs made on its walls. 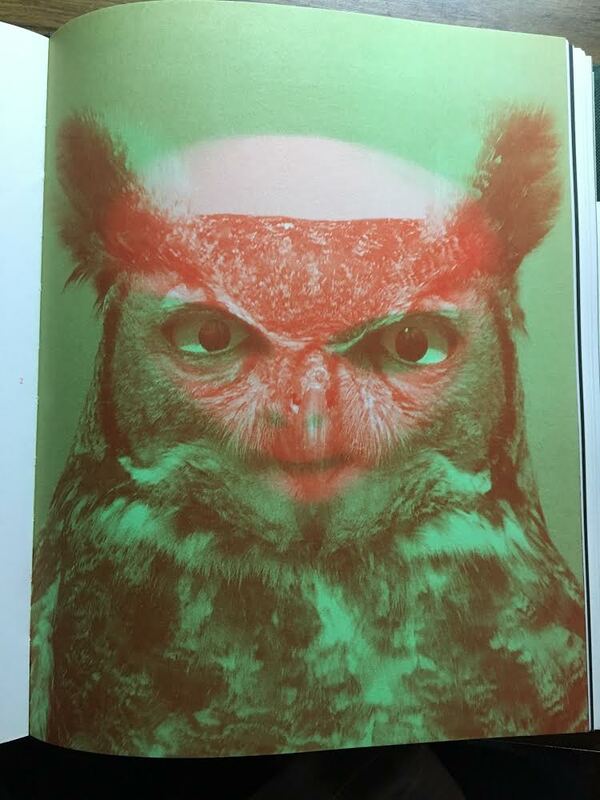 Two pages later is the bizarre, full-page illustration of the red owl, which fans shortly after the publication of the novel realized could be decoded with 3D glasses. The red lens will filter out the owl to reveal a classic “grey” alien sharing the owl’s eyes. Given that, one could take the owls and aliens into Clelland’s statement for deeper thought. Barbati, Duane, “Sunspot Observatory closed due to security issue,” Alamagordo Daily News, September 7, 2018. Hynek, J. Allen, The UFO Experience: A Scientific Inquiry (New York: Ballentine Books, 1974), 1. O’Connell, Mark, The Close Encounters Man: How One Man Made the World Believe in UFOs (New York: Harper Collins, 2017), 79. Frost, Mark, The Secret History of Twin Peaks (New York: Flatiron Press, 2016), 139. Clelland, Mike, The Messengers: Owls, Synchronicity and the UFO Abductee, (Richard Doland Press, 2015), 4. Gutierrez, Lisa, “FBI mum about sudden closing of solar observatory. 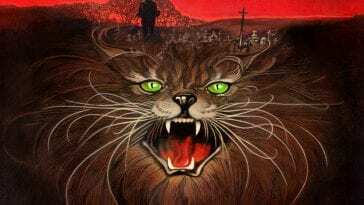 Conspiracy theories fill the silence,” The Kansas City Star, September 13, 2018. For those of you interested in reading further on Dr. Hynek and his involvement in the early years of our government’s efforts to deal with the “UFO problem,” I recommend Mark O’Connell’s THE CLOSE ENCOUNTERS MAN (HarperCollins, 2017).